Divorces, matters of child custody, and determining spousal and child support are some of the most personal and stressful areas of the law that the average person may have to deal with. If you are going through some or all of these matters, you need an attorney who will listen to your concerns, devote the time and attention to your case that it deserves, and work diligently to resolve these issues amicably. If your matter cannot be resolved without intervention in the courts, you need an attorney who has the skills required to successfully navigate a contested courtroom setting. 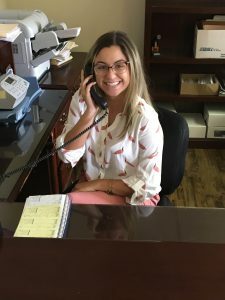 Sarah Bruns has years of experience in the courtroom, is a certified Guardian Ad Litem for children, and believes in a problem-solving approach towards cases. She understands how difficult it can be for people to leave their personal and private matters in someone else’s hands. 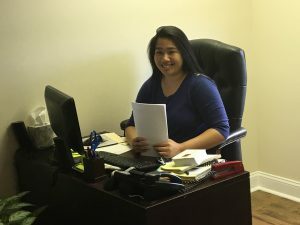 Ms. Bruns strives to limit the anxiety associated with these legal proceedings by making sure that her clients have their desires effectively expressed to the courts or opposing parties, and by keeping clients fully informed about their case and prepared for all possible outcomes. Prior to her association with Zinicola, Blanch & Overand, PLLC, Ms. Bruns clerked for a Virginia Circuit Court Judge. During that time, she worked on many family law proceedings, and as a result she has insights into how judges and clerks handle and view these matters. This insight allows Ms. Bruns to avoid delays and complications while your matters travel through the court. Call today to make an appointment to discuss the specifics of your case.